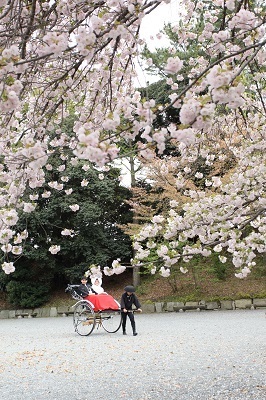 The elegant costume which aristocracy of Heian period used to wear. 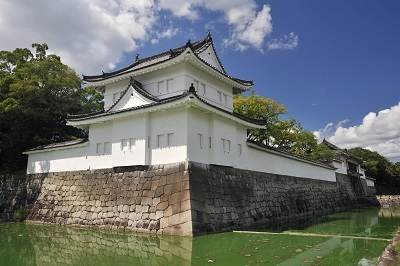 For the wedding ceremony at “Nijo Castle”, we can arrange the civilian wedding dressed in “Juni-hitoe” and “Sokutai”. 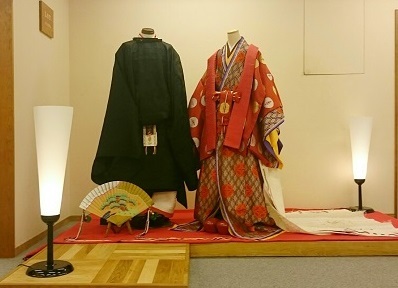 We currently display “Juni-Hitoe (twelve layered ceremonial kimono)” and “Sokutai (traditional ceremonial court dress for male)” at LST gallery. They are on the display until the end of February. So please come to have a look!